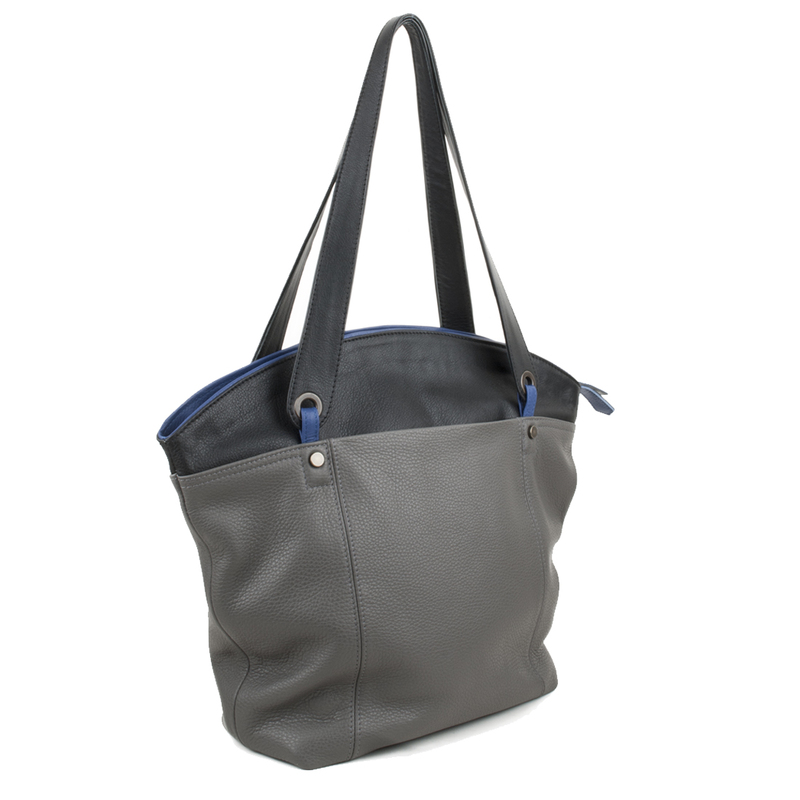 The Kimberley in grey is a great leather tote bag for the summer. With her contrast panels you can team her with many different outfits. 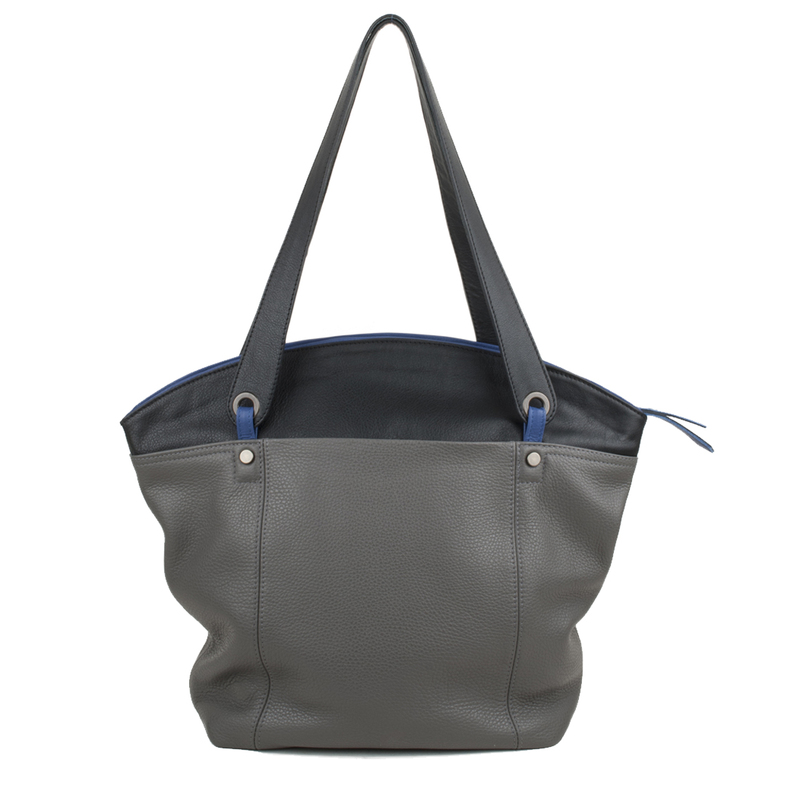 A must have for the summer with the bold graphic lines that are trending. 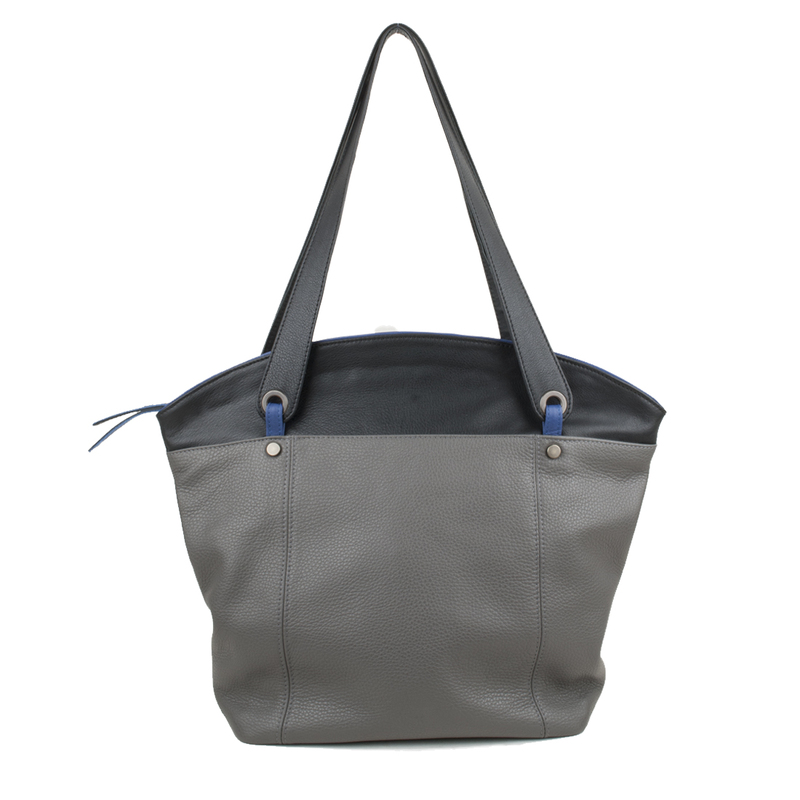 The Kimberley has a zip top opening an open pocket on the front. 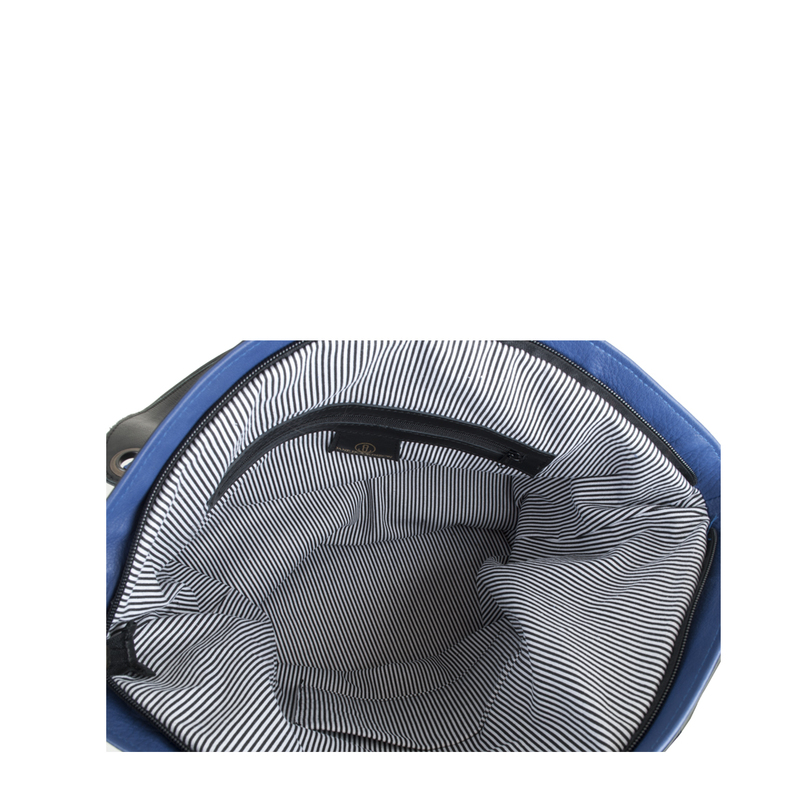 Striped cotton lining with mobile phone and inside open pocket.